Suheil Hanna Srouji, 82, born in Nazareth, Israel was known to many throughout the region as Jack Srouji or Deacon Jack, died following a lengthy illness on Wednesday morning, February 28, 2018, at his home. Visitation is scheduled from 4 p.m. to 6 p.m. on Sunday, March 4, 2018, at St. Henry Church, 6401 Harding Road, Nashville. The Most Reverend J. Mark Spalding, bishop of the Catholic Diocese of Nashville, will celebrate a Funeral Mass beginning at 10 a.m. on Monday, March 5, 2018, at St. Henry. Bishop Spalding will be assisted by priests and deacons of the diocese. 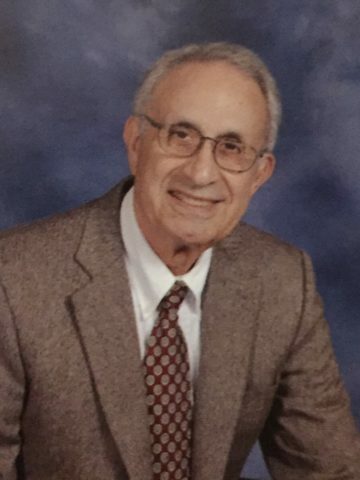 Jack Srouji was a graduate of the Vanderbilt University School of Engineering and was first employed as a civil engineer with Metro Public Works, ultimately retiring as a civil engineer with the Tennessee Department of Transportation, Region 3, in Nashville. He held prime responsibility for many major road projects in the area, including Music Row and I-440. Jack Srouji entered the first class of Permanent Deacons established by the Catholic Diocese of Nashville and was ordained on April 27, 1975 by Bishop Joseph A. Durick at the Cathedral of the Incarnation. He first served at St. Ignatius of Antioch Parish, and was later assigned to St. Henry Catholic Church where he served some 18-plus years as director of the parish RCIA Program. Deacon Srouji retired on August 14, 2014 but never fully “retired” from serving the people of God and was frequently called upon by those seeking spiritual direction in their lives. Children, John and Joseph Srouji, Claire Srouji Davis and Julie Srouji Gantner, remember their father as a man of deep compassion and love for his family, grandchildren and Catholic faith. Jack Srouji is survived by four children, John Srouji (Jennifer), Atlanta, Ga., Joseph Srouji (Severine), France., Claire Srouji Davis (James), Franklin, TN., Julie Srouji Gantner (Ryan), St. Louis. Grandchildren: John and Hampton Srouji, Leyla and Samuel Davis; Audrey, Sophie, William, and Charles Srouji. Brothers: Gabriel Srouji; Tony Srouji, Zuheir and Elie Srouji; Sister: Leila Srouji Nackleh; Other survivors include: Jacque Steubbel. I was so sorry to hear about Mr. Srouji. He was such a sweet, dear, and kind man. I am grateful for the times I got to spend with him. Sending so much love to his children and grandchildren. Our lives were blessed by Deacon Jack. May God’s comfort cover those who loved him. Jack will be missed by all of us who knew and loved him. God bless him for his many years of service to the Catholic Church. What a kind deacon at St. Henry church.